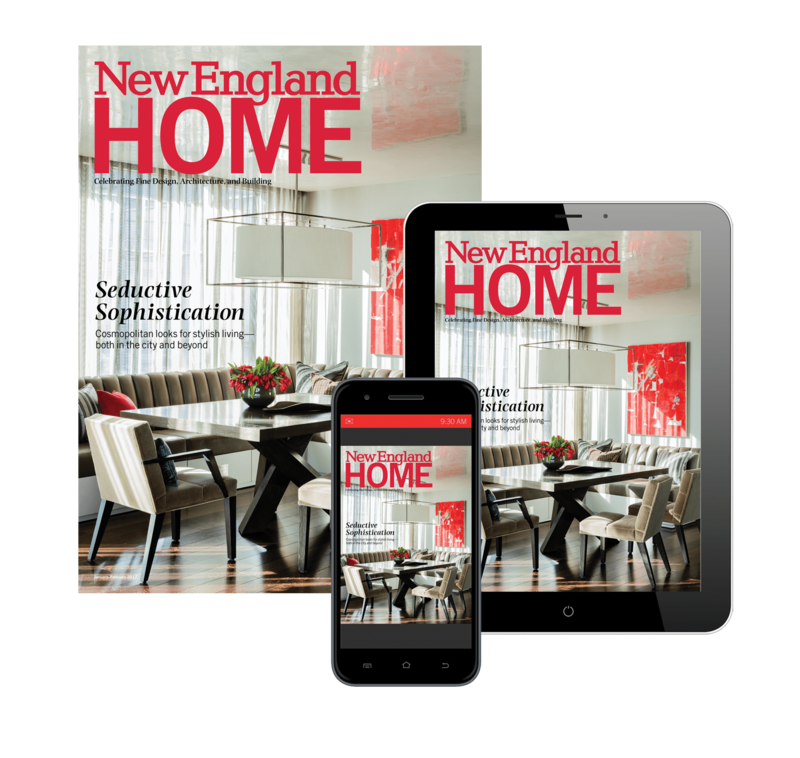 In the May-June issue of New England Home we ran a special section on trends from the design world. One of the trends we talked about in interior design was that more residential designers were being hired to do commercial work. I recently had the opportunity to stay in one of the hotels I mentioned in that article, designed by Boston-based interior designer Rachel Reider. The Attwater Hotel in Newport, Rhode Island, opened last May (you might remember it from a brief mention in my Friday Favorites post a few weeks ago). While it’s in a historic building, the decor is decidedly contemporary. Vibrant drapery panels, touches of geometric wallpaper and sleek furnishings make it feel like a hip boutique hotel, but also like what you wish your own living room did. Rachel used residential furniture and fabrics so that the hotel would have that home-away-from-home (if your house were this hip) look, including these outrageous ikat drapery panels by Designers Guild, a silvery coffee table from Mecox Gardens and a chandelier from Robert Abbey. Other touches include custom lighting by Inspired Wire Studio, as was mentioned by our editor Kyle Hoepner on the blog last Friday, and this outrageously cool wallpaper in the lobby by Osborne & Little. In the rooms, Rachel covered custom-made headboards with interesting fabrics to create a focal point on the wall. The cafÃ©, where they serve breakfast and teatime snacks, uses recipes from the Boston restaurant and bakery Flour. Wouldn’t the Attwater make a cozy home away from home?